Have you recently booked one of many Scandinavian tours and seeking to learn more information on this popular Northern European destination? Scandinavia or as it is sometimes called Nordic Europe is presented by five nations. While these nations exercise a lot of cultural similarities, cuisines and even languages, there are very distinct landmarks and attractions that each of the Scandinavian countries is very proud of. Despite Scandinavia’s strong economies and bountiful natural resources, Scandinavian tours are some of the most expensive travel destinations in entire Europe, so you are very unlikely to find an actual deal. Presented below you will find our comprehensive Scandinavia travel guide with brief overview of attractions and destinations. Iceland, the island country, lies in the middle of the North Atlantic Ocean which translates into sub polar oceanic climate conducive to the formation of majestic glaciers. The country lies in a highly geologically active region with plenty of dormant and active volcanoes. 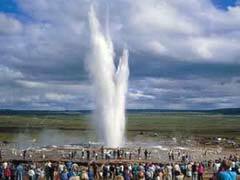 Iceland geysers are some of the most popular natural attractions in the country, including its famous Geysir and Strokkur geysers. Within 10 miles of Geysir lies one of the most beautiful waterfalls in Northern Europe called Gullfoss. However, among all Icelandic landmarks Blue Lagoon the most majestic natural geothermal spa stands apart due to its beauty and serenity. Moreover, the waters are believed to provide cure for a myriad of dermatological diseases. The country is also known for great hiking and ice climbing adventures due to its rough and diverse terrain shaped by lava activity over the years. The Icelandic cuisine includes some very peculiar choice you are unlikely to encounter anywhere else in the world; try whale meat dishes or their excellent selection of dried fish for snack or main course. Norway, according to many travel guides, is one of the most beautiful countries in Northern Europe that is blessed with a bounty of natural wonders along with incredible economic wealth. Scandinavian tours to Norway come with the highest price tag one should expect to pay for lodging, food and scant entertainment. 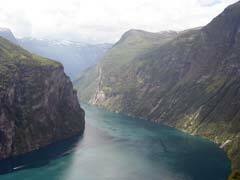 The country that cherishes trolls and marvels at its fjords is one of the most mysterious destinations in Scandinavia. You quickly learn from the locals that the best weekend should be spent alone in the wilderness walking, hiking or skiing. Oslo, country’s capital is so easy to like by all visitors coming to this cosmopolitan yet very naturalistic city surrounded by miles of woodlands. Visitors will have trouble deciding which natural wonder of cultural attraction should be explored first since all of them are worth every minute spent marveling at. Explore capital’s own Oslo fjord that is best experienced by getting on the boat; consider splashing in one of many outdoor swimming pools located in the area. When it comes to museums, any interest is sure to be satisfied: from its National Gallery to Nobel Peace Center, to Norwegian Maritime Museum and Viking Ship Museum the capital has gathered a vivid selection of artifacts and art pieces. Besides country’s capital there are many more other cities and towns that have been etched in the visitors’ memory forever like the charming Bergen seaport, arrestingly beautiful, party loving Tromso with its world famous Polaria museum commemorated to Arctic explorations and student loving Trondheim with its impressive museum and art scene. However, what visitors love the most is Norway fjords and one of the most “fairy tale” like Geirangerfjord located in the southwestern part of the country that is among UNESCO World Heritage sites due to its significance. Take a cruise, go hiking, fishing, rock climbing or simply freeze the time to take in its awe inspiring beauty. Sweden is the largest representative of Scandinavian countries that is washed by the Baltic Sea in the East separating it from its Finnish neighbor. Having exercised a wild and hostile Viking past, now it’s one of the most peaceful Nations in the World that has not waged any wars in the last couple of hundreds of years. A lot of Swedish things have become common household names like IKEA furniture, H&M apparel, ABBA music and mouthwatering meatballs that are easily washed down by Absolut vodka. The best time to visit the country is definitely during the summer month when you can enjoy its great outdoors to the full extent along with swimming in the blue waters of the Baltic Sea resorts. 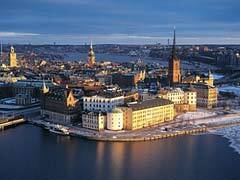 Its capital Stockholm is one of the friendliest and curious destinations in Northern Europe with much to see and do. Explore the old quarters of the city called Gamla Stan by spending a day walking along its cobbled streets, eating at an endless variety of roadside cafes and shopping your way through souvenir shops. Spend another day museum hopping, granted you have a lot to choose from ranging from ABBA Museum, Vasamuseet warship memorial, Stockholms Standsmuseum and many other multi-cultural venues to keep guests entertained. 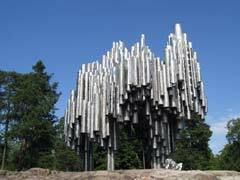 Finland lies in the East of Scandinavia bordering Russia in the East and being washed by the Baltic Sea in the West. Its remote location and sub zero temperatures in the winter have established areas of untouched beauty, vast wilderness and great outdoors. Despite country’s high social and economic rankings, there’s no better way for Finns to spend a weekend than to head to one of the wooded cottages lost amidst Finnish unspoiled nature. Though the country is an integral part of the Scandinavian Union, it has very distinct cultural characteristics and cuisine unlike anywhere else in Europe. Northern Lights phenomenon, Finnish sauna experience and going dog sledding are just a few very Finnish attributes you simply must try during your Scandinavian tours. Besides natural phenomena, cities provide for some of the best cultural experiences. Helsinki, for example, makes for simply perfect starting points for any tours or vacations. The city is perched on the water providing its visitors plenty of charming sights and venues. National Gallery and Mannerheim Museums are well worth your trip presenting plenty of paintings and cultural artifacts. To understand what the Finnish country is all about one simply must visit the Kemi Snow Castle in the heart of Lapland. While at it, book an ice breaking cruise to see more of what this Northern destination is all about. Denmark is an impeccably organized and happy country ideally located on the shores of the Baltic Sea. Clean and harmoniously organized cities and towns are a pleasure to visit offering a plethora of maritime and cultural attractions. Copenhagen, the capital, is one of the most popular and visitor friendly destination in Europe with superbly developed infrastructure of public transportation including buses and railway system making exploring the city a breeze. The city is best explored by foot and one of the best landmarks to start your adventure with is definitely Christiansborg Slot, historical palace that currently houses Danish Parliament. 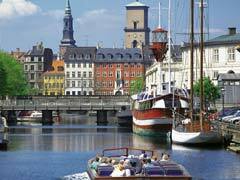 The Danish capital sits atop a well developed system of canals that are could be best seen in the historical district of Christianshavn presenting its viewers with plenty of charming truly Danish buildings and structures. One should definitely visit another iconic landmark in the capital Marmorkirken, one of the most architecturally impressive church buildings in the country. The country is also very famous for its annual music festivals theme parks, including its native and truly Danish Legoland Park located in Billund to pick up famous building block to take as souvenirs back home. Additionally, a lot of visitors choose to take a look at the famous Little Mermaid statue perched in the middle of Langelinie harbor; however, most are left disappointed how small and insignificant it looks to most of them measuring only at 4 feet. 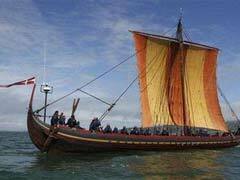 Though highly priced, booking a tour of Scandinavia is your opportunity to get up-close with unique culture of the Nordic people who managed to preserve their wilderness despite of all the advances of modern civilization. We hope that our Scandinavia travel guide has inspired you to look for the best deals.